If there’s something you want that you’ll do just about ANYTHING to have it… then what would you do to keep it? I feel like the tide is always shifting on Jerry. Sometimes you guys love him, sometimes you hate him. I wonder if today’s strip will garner reactions just as divisive. Huge kudos to Marc for the emotion he wrung out of Jerry. Those are some powerful panels and Jerry’s collapse at the end there is just exactly how I envisioned it. Working on a follow-up to my Man of Steel Review from last week. In my review, I didn’t get into any spoilers, but the ending has proved to pretty controversial and reactions are plenty split to the movie overall in large part because of it. I personally loved the ending and I feel like I need to explain why in spoileriffic detail. Expect that either later today or tomorrow. I love humanity but I’d definitely pick my girlfriend over it. Also this universe has established aliens so it’s not like we’d be alone in the universe. We could traverse the stars! You done bad Jerry but I can relate to you man. Love makes us into monsters sometimes or so the trope goes. You’re stone cold! I don’t think I could do it. I couldn’t pick my loved ones over everyone else. Not that it wouldn’t be a tough choice to make, but the math just doesn’t work out any other way for me. It’d probably end up being one of those things I’d do it and then we both have survivor’s guilt. But I think if it was like Jerry is right now where as far as he can see he doesn’t have anyone else but her, I can understand him I guess. Not saying he’s right but…I can see him. It’s always about a girl when it comes to superheroes/super spies and saving the world. And why not? Girls are nice. I now have to find a way to break Jerry’s arm. She can keep her word quite easily. The best chambers for the two of them that will spare them from the Guthrie would be graves — before the Guthrie. It wouldn’t be the weapon that kills them, o she’d be technically keeping her word. Villains think like that, yanno? But I don’t predict this comic. Nope. Seriously, I don’t, it keeps surprising me. Hah, that’s brilliant. Graves would fit the criteria! Dang, Gwen, you got an evil side. I’m an author. As David Gerrold once said to a class at Pepperdine University, authors are the only people in the world who get paid to dream up ways of getting even with people. We’re the only true professionals at revenge. Of course, David is a bit of a cynic. But he has a point. You know what the worst part is… I actually trust her word over his. Still I doubt he will have his chance mostly because speedy is still there and there is an entire room full of (retired but useful) superheroes nearby. You’ll find out on Wednesday! Are you sure you know what you think you know? And this just in from bubbles of time news service – multiple double-crosses in the near future. Note how he has his hand on her skirt in the last panel. Is it possible he’s just groveling like this so he can get near enough to touch her without putting her on the defensive? It would take an instant to get hold of her, open a door into someplace he thinks he can imprison her, and push/pull her through. That’s very true. You’ll find out Jerry’s final move with Zurida on Wednesday. That’s a promise. What’s that? Distract her while you push a button? I’ll go ahead and skip my usual speculation and just “Wednesday!” myself On a side note, I’m very impressed with your characterization of Jerry in this strip and Marc did another stupendous job bringing it to life. I think you’ve done a far more brilliant job with Jerry than I previously realized. I’ve come to regard his behavior as rather childish, in the kind of – no offense parents – mildly sociopathic way of small children who haven’t yet grasped the concept of right and wrong. He does terrible things but at the same time he doesn’t do it with malice. In his mind he’s just trying to get what he wants. I’m starting to question my theory that he deludes himself and wondering if really doesn’t grasp how terrible some of the things he’s done are. He genuinely doesn’t seem to understand (per the previous strip) how terrible his betrayals of CS are. Ex. “Well Cap is my bestest friend. I could never really kill Tom, he’s like a nephew to me. I know! I’ll just make my bestest friend think his estranged son is dead and that he’ll never get a chance to reconcile with him to get Dr Rocket to build me a robot.” He’s gone to extraordinary lengths to achieve the rather humble goals of “getting the girl” and having the closest thing to a family he’s ever had around him. We’ve gotten little glimpses of his rather dismal youth and it adds a certain touch of sadness to everything he’s done. Really loving your thoughts here, Andrew. SF really has the best commenters and fans, don’t it? Writing Jerry is often an exercise in patience. He’s one of the characters I’ve always had the clearest ideas about, but I’ve had to dole out those ideas in dribs and drabs because of story. You’ve picked up on several of them. Early, I received some heat about Jerry for being a one-dimensional character, but he’s always had three dimensions… and those dimensions always had names. While it’s true that Dr. Rocket does probably have the lion’s share of the blame for what’s happening, Jerry–and anyone, really–is still responsible for the part her plays, whatever that part is. Jerry’s “winning” is still so much more important to him than anyone (or anything) else (except maybe the Captain.). Even if the actual pleading IS a feint… word choice. Word choice is telling. I actually have more respect for Zurida now than Jerry. Jerry’s still a rat. Also, Marc- awesome job on Zurida’s skirt lately. Hard to make fabric flow convincingly in 3D or 2D art. After I wrote my review for Man of Steel, the rest of the world got a chance to see the movie and reaction has been… mixed. Some, like me, are crazy about the movie. Other can’t believe they’re actually calling that guy in the tights “Superman.” This is mostly due to the ending of the film, so let’s talk about it. MASSIVE SPOILERS below. Turn back now if you haven’t seen the movie, I mean it. Okay, first of all, I’m taking a lot of my thoughts here from a comment I left on Jeff Carter’s Man of Steel review over at Geek League of America. Go on over there is see Jeff’s opposing viewpoint and the following in its original content. Jeff’s a great writer, so it’s a good read! There’s no question that the moment when Superman snaps Zod’s neck is a shocking one. It was a jarring moment and my reaction to it initially was the same as many others–Superman WOULD NOT do that! But, actually, he would. Man of Steel tries to present to us a real world that Superman can exist in. A Superman who exists in that world–not a four color one where a writer’s imagination trumps all evil in a way that would make Pollyanna scream with joy and vindication–would do what he did. If he hadn’t, the movie would have betrayed its premise. I believe that that Superman will do everything in his power to not kill, but I think it’s absolutely correct and even righteous that he will kill if he has to. It’s extremely righteous. Let me be clear about something: killing is evil, but the act of killing is not always evil. “Superheroes don’t kill” is an old trope and a comforting one (I make a big deal out of it in SuperFogeys more than once), but it absolutely does not carry over to anything resembling the real world. Killing, in defense of others and freedom, is not wrong and is often, sadly, necessary. Zod’s life was not more valuable than that family and all the people of Metropolis. Superman didn’t have a choice because the alternative–letting Zod do his thing–was the greater evil. 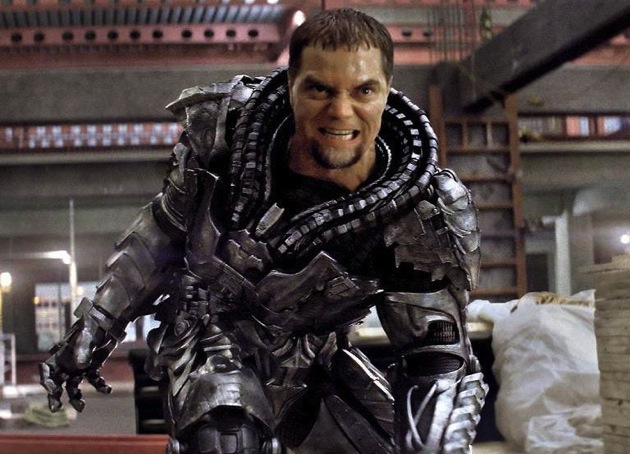 A lot of people are saying the brutal killing of Zod does not allow the movie to end triumphantly and that instead there’s a darkness that hangs over it. I don’t see it that way. Not at all. I think this may come down to individual preference and perspective, but I simply don’t understand light without the dark. Superman’s killing of Zod is my favorite moment of the movie. Not because of what he does, but because of how he reacts. Instantly, he mourns. And it’s a mourning with a mixture of what he had to do–kill–and that fact that he had to kill Zod, leaving Superman all alone. The whole movie was about Clark wanting to find out about his heritage. And then he destroys that heritage. Where is the triumph in that? For me, it’s in the why he did it. He made that sacrifice for us–for the people of Earth. That’s what makes him a hero. He absolutely did not want to do it, but he did it anyway. He’s a Christ figure, like it or not. Christ sacrificed himself on the cross in order to triumph over death for the rest of us. In the movie, Superman sacrificed much so that the people of Earth might live. No matter how dark the act, that, to me, is incredibly triumphant. Self-sacrifice for the greater good. Earth lives. Everybody gets to go home. Now, I hope we see more of the consequence of the act. Superman should only ever take a measure so extreme when there’s no other choice (the writers of the comic understand this–he’s killed four beings in the course of his history), but it should shake him pretty terribly. Man of Steel showed us this in brief, but I think there’s room in a sequel for him to deal with this a little more. I hope he does, but, ultimately, he should feel good about what he did. Because he did the right thing.